Despair would be a poor choice. Can we organize a serious challenge to capitalism and white nationalism yet? THESE were the choices Americans had. Donald Trump said everything he did, emboldening White Supremacy in public, legitimizing and spurring on openly white nationalist, racist, and anti-immigrant paramilitary groups. His own party rebuked him. And yet Trump was declared the winner. So no: we can’t wait for the next electoral cycle. We need to organize outside of electoral politics. We need to have started years ago. And we will face not merely indifference, but open hostility, as misogyny, racism, and islamophobia become legitimated in the highest political office of the land. Because many Americans clearly resonate with his messages. Let’s move, people. There’s work to do. Seriously. Trump is “Worst Timeline” bad. With a republican controlled congress, the next four years promise to be something of a nightmare. If you voted today, and are despairing, I have respect for you. But hopelessness is not a strategy for social change. If you haven’t become involved in radical social organizing and don’t know how, especially if you’re in Minnesota, Northern Iowa, Western Wisconsin, or Eastern North or South Dakota, message me. Your fears right now represent all the human connections you have, of which you are made. You are rich in connections. Your fears are not unreasonable. They are valid. But the same old remedies are not reasonable. We are on a deadline. Climate change and the daily police war against women, and the racist war against all non-white difference means we have no time to spare. These fears are our obligations. Our duties. Transform those fears into pride by recognizing your duties, and attempting to live up to the best version of them. It may, in fact, be the time of everyday heroes. We need Community Self Defense, because too many Americans are not interested in defending us. Join me. The Twin Cities IWW General Defense Committee Local 14 is an organization dedicated to the Community Self Defense of the entire working class, explicitly anti-racist and anti-fascist and anti-sexist, anti-capitalist. We need more than any of us have yet done. You are loved. Don’t be afraid. You are valuable. Don’t feel unloved. If you are a woman, a Black person, a Muslim, a queer person, an immigrant, you are loved. We love you. You are our sisters and brothers and siblings. But love requires action. Those who feel we love you must step up and show that we also *care* for you. Please tell us how we can care for you. How we can care for each other. The vote shamers get angry at those who demanded more than Clinton offered, but not at the obviously openly white supremacist, misogynist, and hateful American electoral voters, currently electing Trump. Good priorities. If you are blaming third party voters or non-voters for Trump’s win, I encourage you to think it out. The responsibility for electing Trump lies with the American electorate who elected him. If you think that Americans should uniformly deny their values and ideals and vote for the cynical “safe” candidate (how safe, exactly? ), then how do you support democracy? Use your head before you abandon it, and in abandoning your heart, abandon your friends. -by a member of the Twin Cities GDC Local 14.
i tried to email the address linked in this post but got an error message from the email server. could you please contact me? I am an old, straight, white male, and outside of your geographic catchment to boot. But, I’m with you. Thanks Michael! Some of us are also “old white straight men.” We have members ranging in ages from 18-72, and of all races, genders, and religion. Solidarity to you, wherever you are. 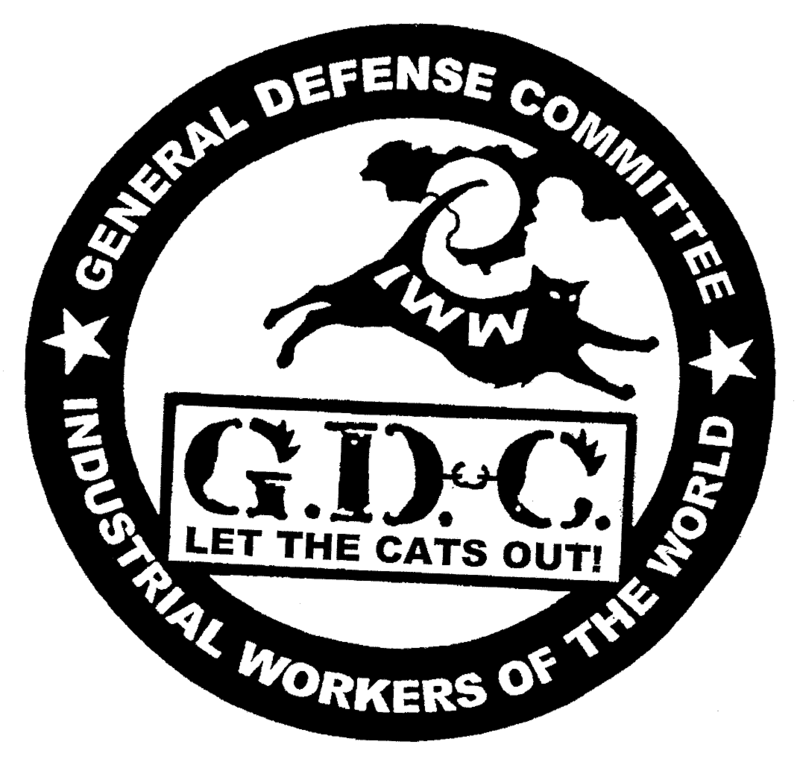 I tried emailing you at the email linked above (tc.gdc14@iww.org), and it bounced back. That’s the COINTELPRO sponsoring fascists for you–already taking down emails. It’s a joke, but also, honestly, a legitimate concern in light of, you know, recent history (that is “within living memory”).